Panasonic is a technology base company and known as the largest manufacturer of electronic items in the world. 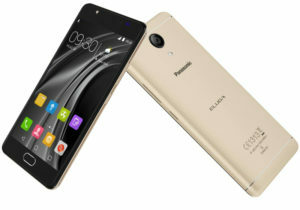 A new smartphone from Panasonic has been launched in India in this month which is named as Eluga Ray X. The device was commercially launched in the Indian market with a price tag of Rs 8,999. However, the device is not yet available to purchase but is expected to live on sale very soon. Here are the specification details of the newly launched Panasonic Eluga Ray X smartphone. Eluga Ray x comes with a screen size of 5.5 Inches display and has a resolution of 720 pixels by 1280 pixels. Talking about the core part, the device is powered by a MediaTek MTK6737 chipset and has a quad core processor clocked at 1.3 GHz and comes with 3GB of ram. The device packs a 13GB of internal storage and provides support for external MicroSD to expand the storage up to 64 GB. As far as the camera is concerned, the device bears a 13 Megapixel camera on the back with flash and a 5 Megapixel camera on the front for taking selfies. The device runs on android 6.0 Marshmallow version right out of the box. It is powered by a massive 4,000 Mah battery which is non-removable. It comes with a hybrid slim slot which accepts a Micro SIM and a Nano SIM. So that’s all you get in this device, do let us know your thoughts on the pricing and specifications o this device smartphone in the comment section.